Woody Yoder is the Director of Curriculum and Instruction in Marshall County. 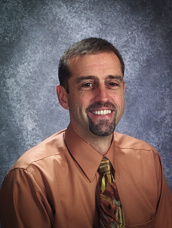 He moved to the district level after seven years as principal at Center McMechen Elementary School. He was previously employed in Ohio County where he served as both principal and assistant principal at Warwood School. Including his years as a teacher he has over 30 years of experience in education and is looking forward to the leadership possibilities ahead. He feels strongly that the role of the principal is the most crucial element in school success and reform. Mr. Yoder is originally from western Maryland. He graduated from West Liberty State College, where he met his wife, Ann. Ann is a first grade teacher in Marshall County. They have two daughters, Sarah Beth and Emily.